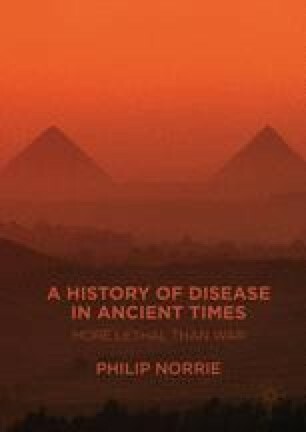 Here Dr. Norrie discusses the possible diseases that infected the Ancient Egyptian Empire, focusing on the bubonic plague epidemic during the reign of Amenhotep III and his son Akhenaten in the Eighteenth Dynasty c.1350 bce. It discusses why Amenhotep III left Karnak to set up his new city of Malkata and made so many statues to Sekhmet, the Goddess of Pestilence. It also discusses why his son Akhenaten behaved in a similar way when he established his new city of Amarna with only one God—Aten.